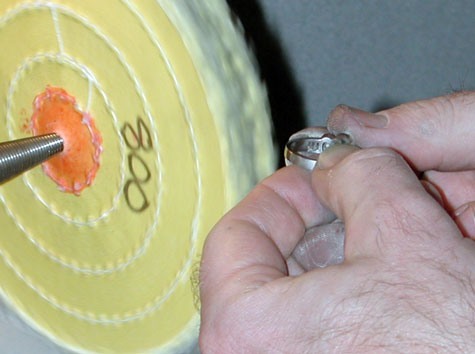 Quality Assurance Benchmarks highlight workmanship of semi-finished or finished jewelry. 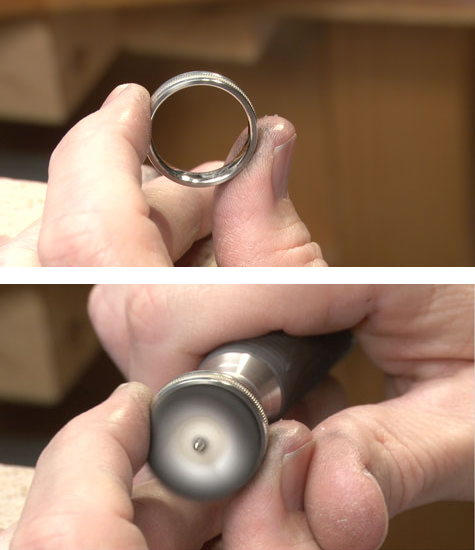 Learn how to evaluate the quality of a platinum ring that has been prefinished, polished, and buffed. 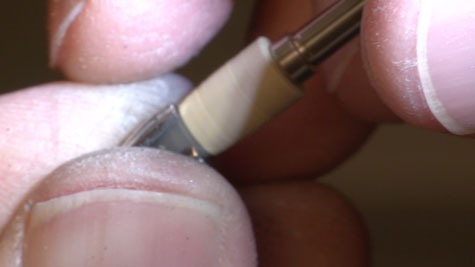 Tool marks are removed during prefinishing. When prefinished, the piece has very fine surface scratches, which will be removed by polishing. 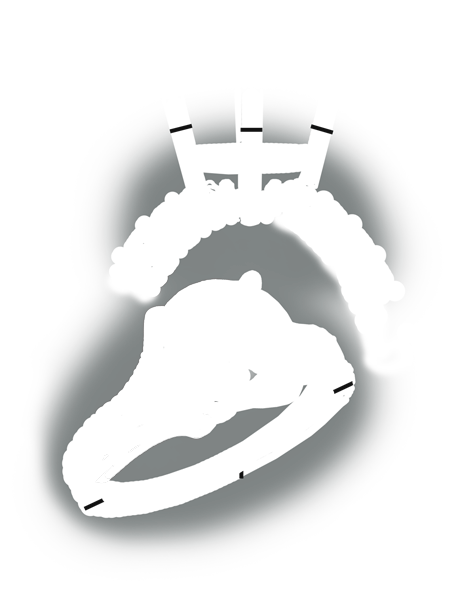 The final quality achieved by platinum polishing and buffing is possible only with proper burnishing and prefinishing. 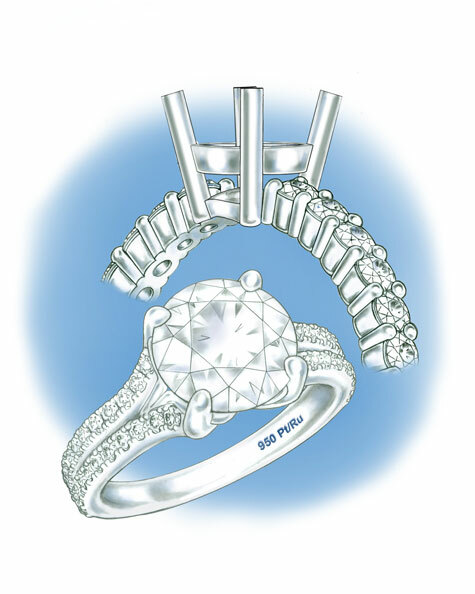 If a platinum piece has been poorly burnished and prefinished, a bright-white, high-platinum luster cannot be achieved. 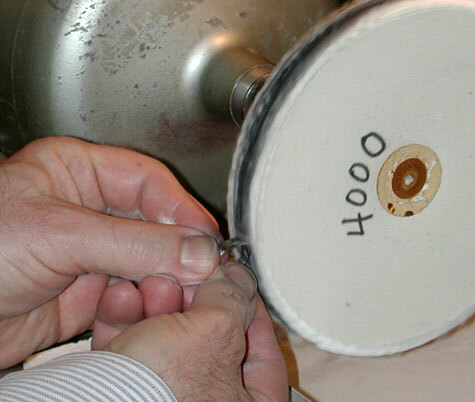 To polish and buff platinum, multiple steps and grades of abrasive compounds are required. 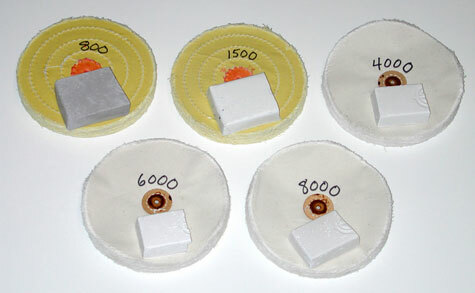 The two yellow-treated wheels shown here are labeled “800” and “1500,” which indicates their abrasive grades. They are ideal for polishing. 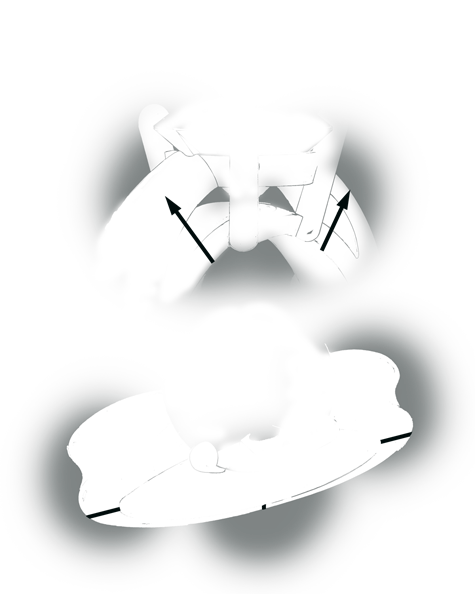 The quality achieved by platinum polishing and buffing is possible only with proper burnishing and refinishing. 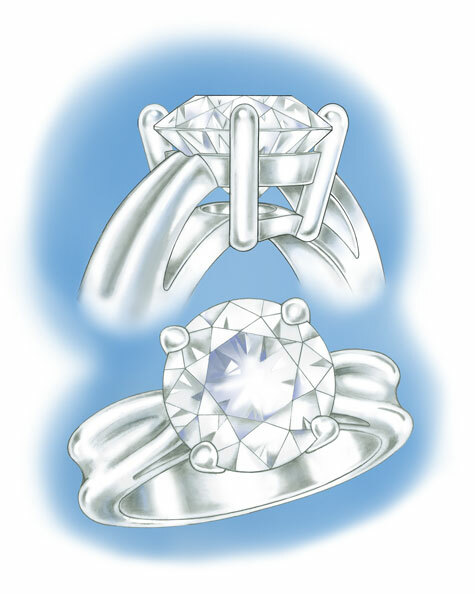 If a platinum piece has been poorly burnished and prefinished, it is impossible to achieve a bright-white, high-platinum luster. 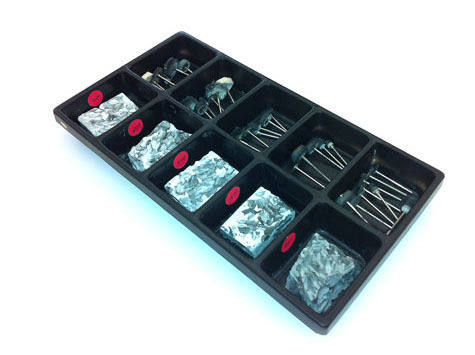 Platinum compounds are evenly blended and adhere well to buffs, brushes, and felt attachments. 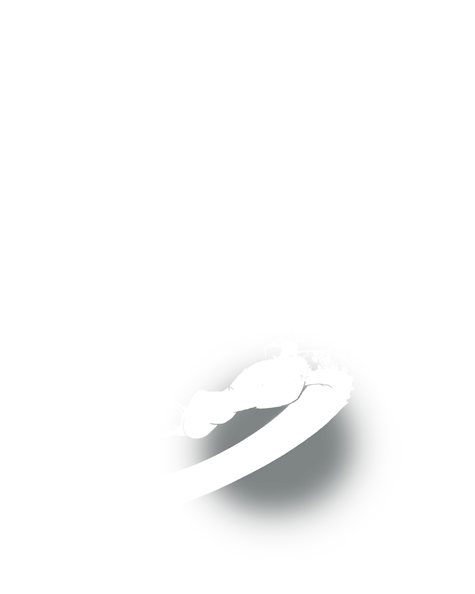 The abrasive grades of platinum compounds range from 800 to 8000. 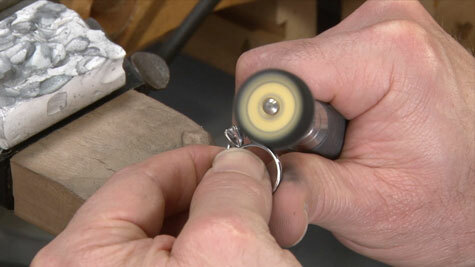 Not shown, but also used for polishing platinum, are hard felt wheels known as laps or split laps. Laps are commonly used for polishing crisp edges and flat surfaces. Cross-contamination is highly detrimental to the polishing process. 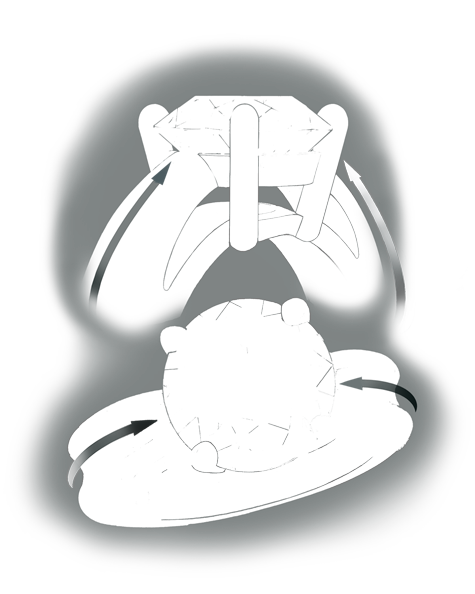 To avoid cross-contamination, label each wheel and compound. Individual storage and color coding is also suggested. 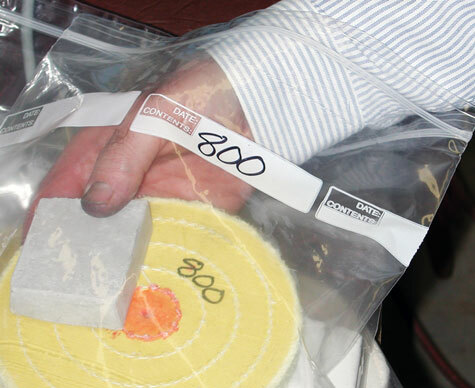 The 800 polishing compound grade is almost twice as course as 1500 compound. Because of this, isolate the compound and the wheels. 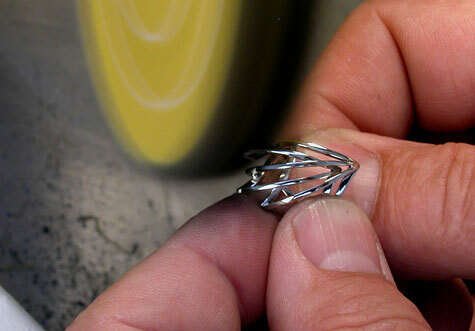 For polishing, the piece must be completely free of deep scratches, tool marks, and other visible blemishes. Proper prefinishing is critical. Polishing wheels are available in a wide assortment of styles and sizes. As a general rule, the larger the wheel, the faster its speed at the contact point. For platinum polishing, stitched and treated buffs are most effective. Unstitched buffs are too soft and will round all edges. Their softness cannot create necessary pressure and friction at the contact point, so polishing will take longer. Some platinum polishing applications can be done at the bench using smaller stitched and treated buffs and laps. Again, proper prefinishing is mandatory. For polishing at the bench, keep a small polishing and buffing compound and wheel attachment kit handy. 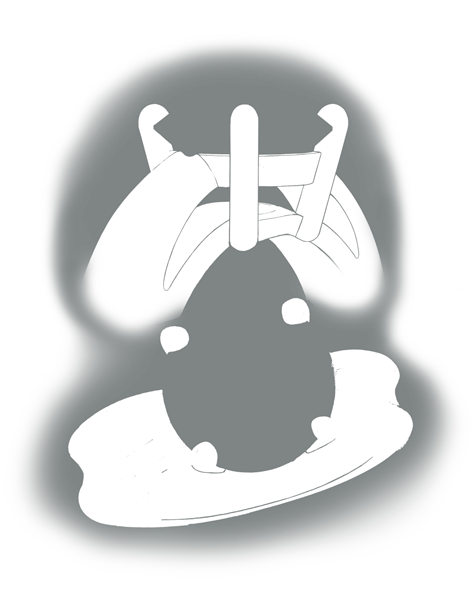 Make sure that all compounds are labeled and multiple wheels and laps are available to prevent cross-contamination. 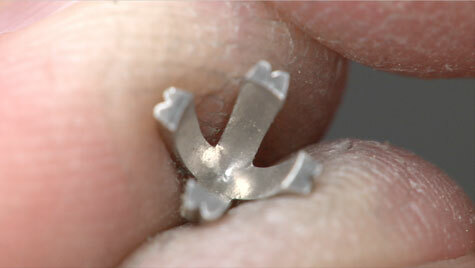 The area inside a prong or bezel setting area is often overlooked during prefinishing and polishing. Prefinishing and polishing inside a setting takes little time, and adds value to the piece. Use all three grades of compound (4000, 6000, and 8000), and their accompanying wheels for the finest finish. Clean jewelry between each grit change to prevent cross-contamination. No shaping, tool mark removal, or refinement of deep scratches is possible through buffing – only the removal of ultra-fine scratches and the creation of a high luster. As is the case with prefinishing and polishing, cross-directional buffing will yield the best results.